If you’re in your twenties or thirties, you might have similar thoughts about saving for your retirement, and it’s understandable. At this age, you haven’t reached your peak earnings years, so saving a big chunk of your paycheck can be difficult. Plus, you probably have an array of debts tugging at your attention – student loans, car payments, rent/mortgage payments, credit card bills, and more. The fact of the matter is, no matter how old you are, or where you are in your career, there’s always going to be some obstacle in the way of saving for retirement. There will never be that perfect moment when everything aligns for saving money. But think about this – if you don’t start saving for retirement now, when will you? And if you get an early start, you won’t have to feel stressed about playing catch up when retirement is on your immediate horizon. So, get an early start. Here are a few strategies to make it easier for you to accumulate a considerable nest egg for a comfortable retirement. An individual retirement account (IRA) is a wonderful savings tool. It was created specifically to help individuals gain more control over their retirement savings. IRAs come in two basic types: Traditional and Roth. 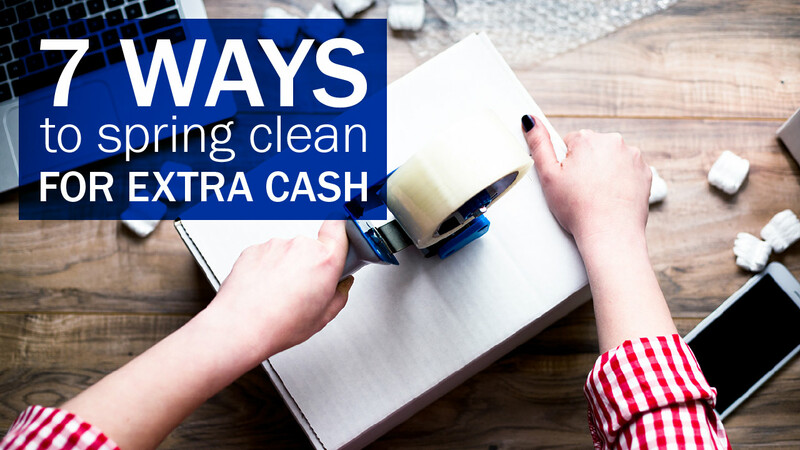 Each can save you money – just in different ways. With a Traditional IRA, you’ll save money upfront. That’s because (depending on your income), your contributions are fully tax-deductible. AKA – you won’t pay any taxes until you start withdrawing money from the account! With a Roth IRA, you’ll save money later. You can’t deduct your contributions on your taxes, but your contributions and earnings can grow tax-free over time. This means – when you withdraw your money in retirement, you won’t pay any taxes on it. 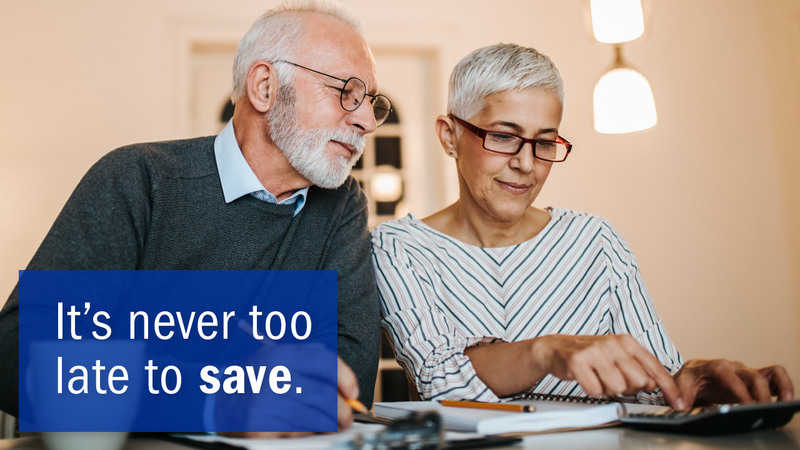 Plus, if you’re hesitant to put money towards your retirement because you’re saving for your first home, a Roth IRA could be just what you need. It allows you to withdraw up to $10,000 (in contributions or earnings) from your account for your first home purchase, as long as the account has been open for more than five years. Have a young family? A Coverdell Education Savings Account (ESA) can provide you with tax-free investment growth, and tax-free withdrawals on qualified education expenses while you save for your child’s college education. Self-employed or a small business owner? A SEP-IRA or SIMPLE IRA will offer specific benefits for your situation that are worth considering, such as higher annual contribution limits. Participating as fully as possible in your employer-sponsored retirement plan is a smart idea. That’s especially true if your company matches your contributions – it’s like getting free money towards your retirement. Who doesn’t love free money? Take advantage of compound interest. This might be the single most important tip for millennials and Gen Z-ers. Time (in the form of compound interest) can be your best friend. It’s so powerful it can even allow you to contribute less money to your savings during your lifetime than someone who started saving later – and still finish with more money at retirement. That’s the benefit of starting to save at an early age and letting compound interest work for you. And your assets can seriously add up. For example, if you annually contribute $5,500 to your Roth IRA starting at age 25, you could accumulate more than $1.5 million (at an average annual earnings rate of 8%) when you reach 65. Plus, you’ll get that money tax-free, as long as you follow the rules. Not too bad, eh? As a young professional, chances are you’ll change employers several times during your career. If that happens, be careful with your retirement savings as you move forward. Withdrawing money from an employer-sponsored retirement account before you reach retirement age can result in hefty taxes and penalties. No one enjoys creating a budget. 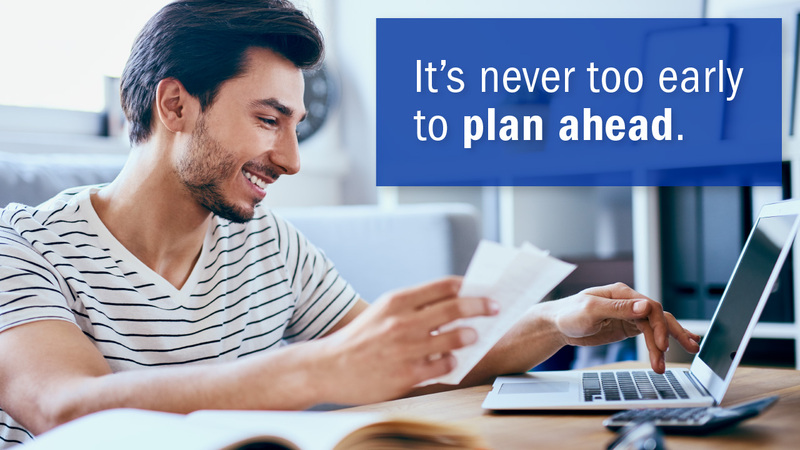 But, it’s a simple way to keep your spending and savings on track, and it’s great for peace of mind, too. A general rule is to dedicate at least 10% of your income to savings. Can’t afford that much? That’s alright. Just start somewhere…anywhere to get you into the habit of saving. We promise, your future self will thank you for it. Feeling overwhelmed by anything or everything when it comes to planning your finances? Get a little peace of mind and consult with a professional. A financial advisor can help you develop a complete financial plan for you. That way you can focus on following the plan instead of creating it, too. Additionally, an experienced financial planner can potentially help you grow your assets faster and save you money by eliminating redundancies in insurance coverages or reducing other extraneous costs. Invest now in an IRA from USALLIANCE. All of our IRAs are federally insured by the National Credit Union Administration (NCUA) up to $250,000. Have any questions about IRAs? We’re here to help.